SKU: 8000. Categories: Shop All ThinLine Products, Hunter Jumper Tack, Dressage Equipment, Western Horse Tack, Horse And Rider Tack, Rider Tack. 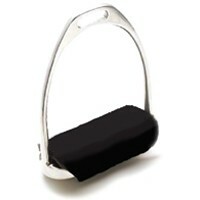 Tags: jump stirrup wrap, no slip stirrup, stirrup, stirrup pad, stirrup wrap. Ride Right Stirrup Wrap ™ addresses equestrian knee problems AND offers riders a non-slip, shock absorbent surface. 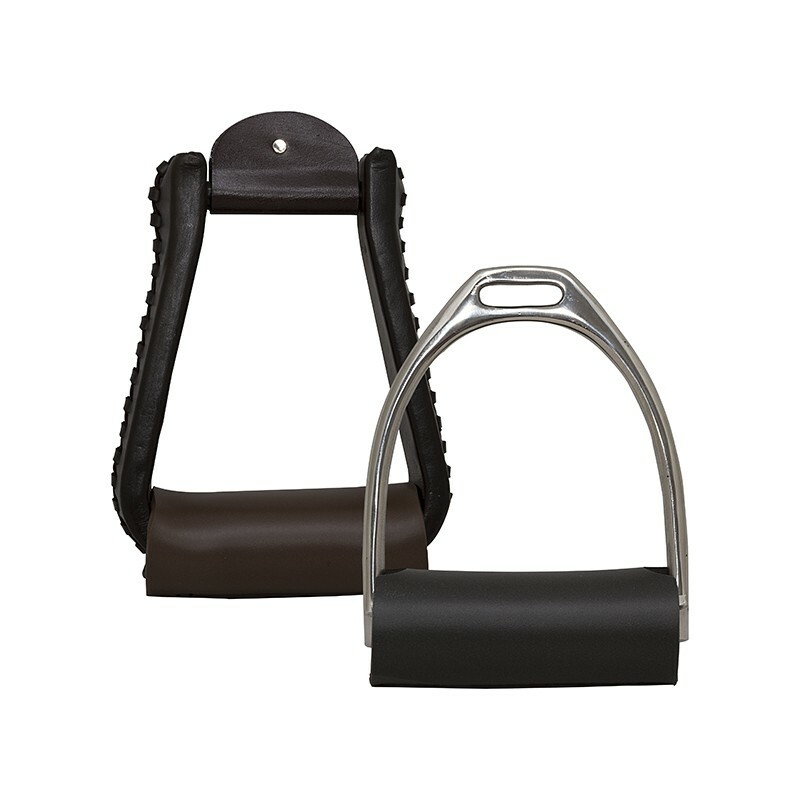 ThinLine stirrup wraps deliver multiple benefits. Shock Absorption – While sitting horses or riding in jumping position, this wrap will give you shock absorption proven to support riders and relieve joint impact. Stability – One of the magical properties of ThinLine is how it “sticks” to your boot just enough to keep you feeling secure but never compromises intentional foot placement. 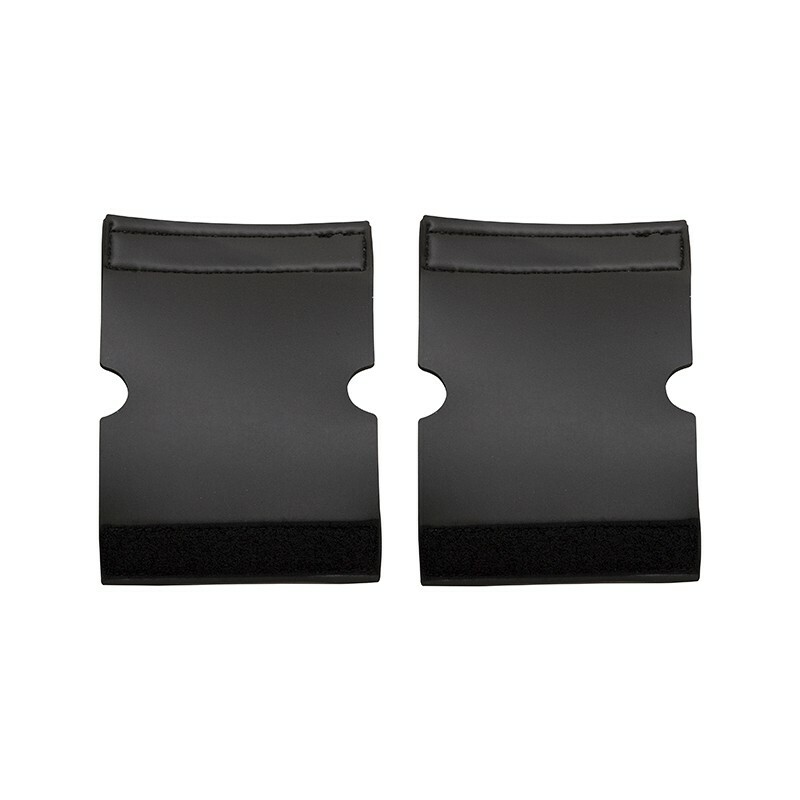 Knee and Ankle Relief – Use the enclosed wedges for the relief of uncomfortable knee and ankle angles induced by stirrup position. 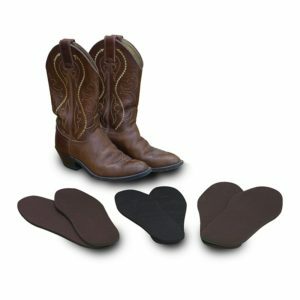 Improved Equitation – No slip shock absorption allows riders to sit the gaits with reduced movement of the foot and lower leg. Happier Horses – Shock absorbing wraps protect your horse on the flat and over fences by reducing jar of your weight in the stirrups. 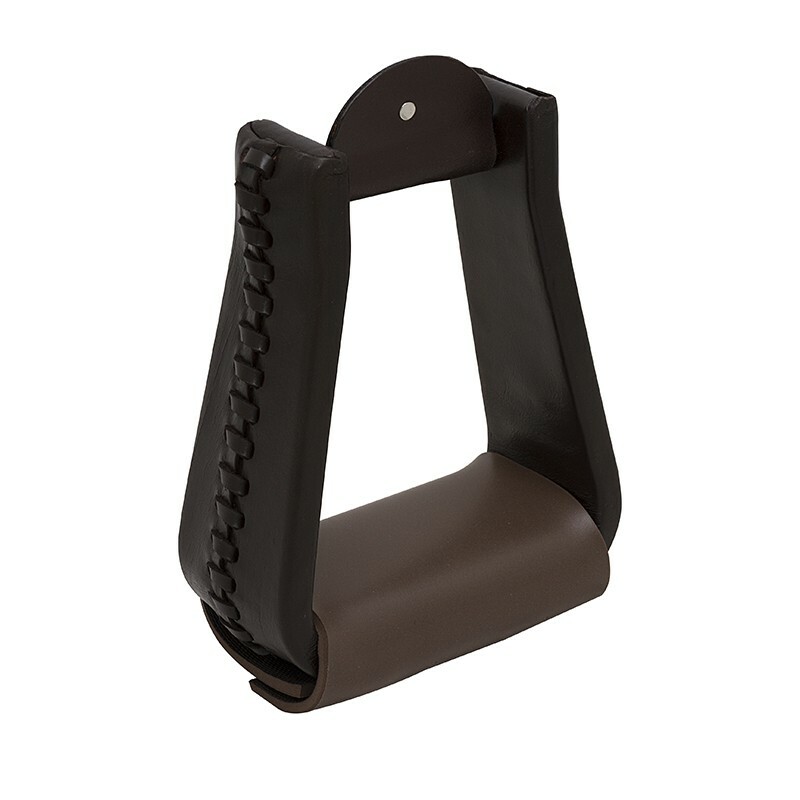 This simple stirrup wrap provides you with more than just a non-slip surface for your stirrup. Additionally, wraps are sold in Black for English, Dark Brown for Western. Leave us a note in the comment box if you prefer a different color. Wraps are extremely durable, washable and easy to apply. No rubber or latex. Incredible. Shock absorbing no slip and my knees are great! I have a bunch of hardware in one ankle and these wraps allow me to ride in comfort. I used to keep an ice pack on my mounting block to ice my ankle even before putting my horse away and now I can actually walk after I ride. These are easy to put on, and mine have lasted for 6 years. I am now ordering my second pair. After the wraps being used 3+ times a week for 6 years, they are starting to rip. That shows how well they are made and stand up. These are amazing as I have little cartilage in my left knee, and these provide nice shock absorption that allow me to ride and not be in pain. Thank you! 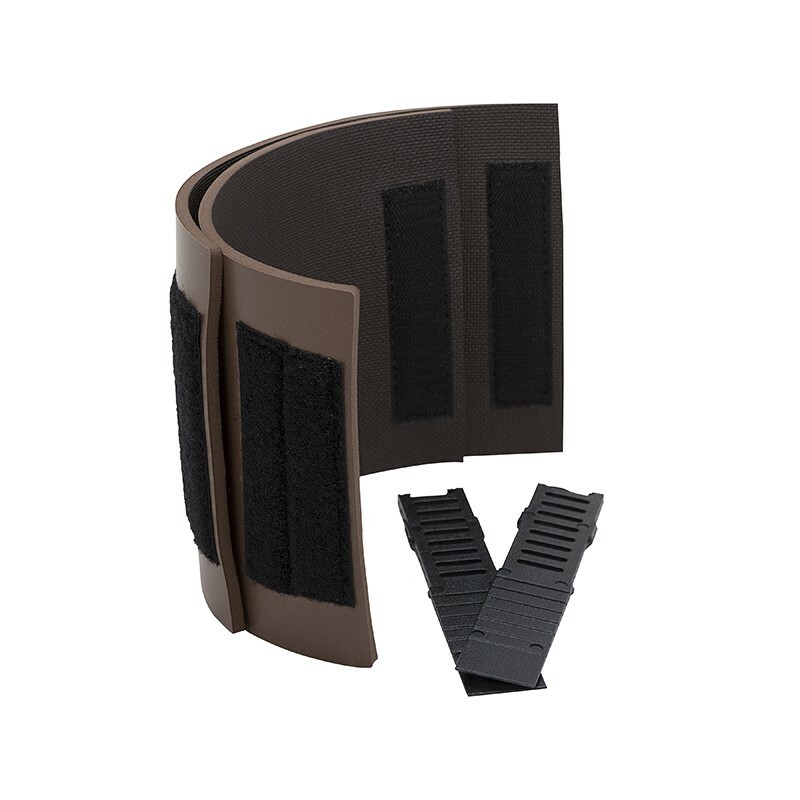 Q Where do you place the knee wedges and what are the benefits of the knee wedges? A Thank you for your question! The wedges are attached directly to your stirrup, with the higher side to the outside, and the ThinLine wrap goes around your stirrup and wedge. The wedges are designed to put your knee and ankle in the correct position, relieving strain on your joints. Q Hi there! Is it just one wrap or are there two? A Hi there! Thanks for your question! All of our Ride Right Stirrup Wraps come in pairs. Q What material are the wraps made of? A Thank you for your question! The Stirrup Wraps are made out of the same amazing, shock absorbing ThinLine material as our saddle pads. A Thanks for your question! While you would definitely want to use the adhesive for security for long term use, a trial ride without it should be fine. Q Is the measurement for an Enlish stirrup the same as the stirrup size? My stirrup irons are 4.75", so do I order the Large? A Thanks for your question! 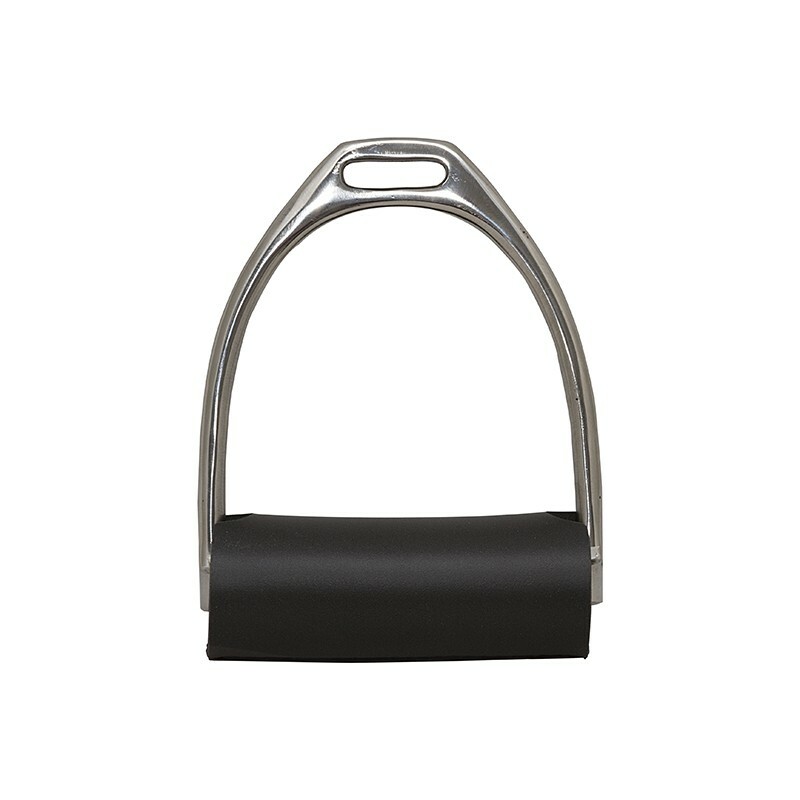 The large English stirrup wrap measures 4.75" wide, so it should be a perfect fit. We offer a 30 day satisfaction guarantee on all ThinLine items, so feel free to order it and give it a try!